Set your personal fundraising goal and show people just how committed you are. 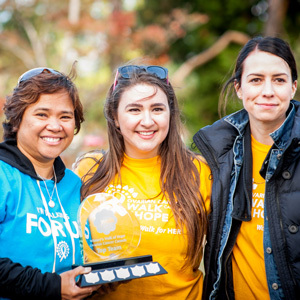 Throughout your fundraising journey, there are exciting incentives and prizes to recognize your strong efforts and encourage you to keep going. The Ovarian Cancer Canada Rewards and Incentives Program starts March 28, 2019 and ends August 23, 2019. *Please click on contest link to read rules and regulations.